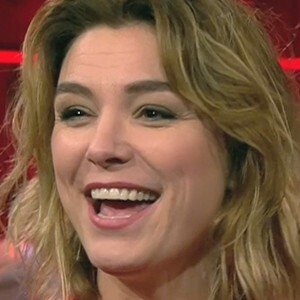 Television show host and personality who is recognized for her work on De Super Freek Show, Mijn Pop-uprestaurant, and De dagshow. She was also the lead vocalist of a band called UMA. Her broadcast career began as a VJ for the network TMF Flanders. She has competed on the reality show De Slimste Mens ter Wereld. She gave birth to sons named Mac and Scout Bono. Early in her career she had the opportunity to interview Lenny Kravitz and Justin Timberlake.